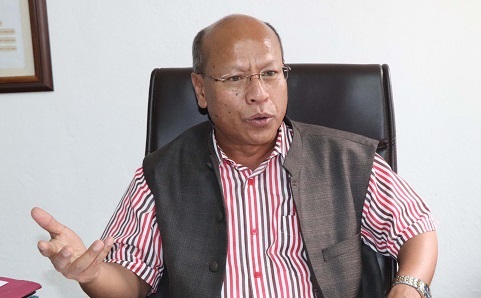 Tynsong said that the give and take policy would be again talked about once the meeting between the two Chief Ministers of both the States is held. “If both the States keep on fighting, there will be no end to the problem. I did not see any solution (to the problem) until and unless we agree to the give and take policy, be it from the Assam side or Meghalaya,” he said. Tynsong said that he personally felt that the spirit of give and take should be there. “If it is not there, the door is closed. If the door is closed, then there is no point of meeting,” he said. Meghalaya had submitted documents to Assam to support its claim over the 12 areas of difference. “From our side we claimed that these are the areas where would like for retransfer or find solution in place,” he said. Tynsong said that Meghalaya would like to see again that a meeting between the two Chief Ministers should happen very soon. The documents related to the areas of difference (sector-wise) were handed over to Assam by Meghalaya during the joint committee meeting of chief secretaries of the two states at Dispur on August 9, 2011. The Assam Government, however, on September 2, 2011, wrote to Meghalaya that it was examining the documents and would take some time to complete its scrutiny. But till now, Assam has not responded to the claims made by Meghalaya. The Meghalaya Government had prepared documents/justification for each of the 12 sectors, along with maps based on supporting documents with respect to constitutional provisions, relevant notifications and maps as well as historical, ethnic and linguistic links. The 12 areas of difference include Upper Tarabari, Gizang reserve forest, Hahim, Langpih, Borduar, Boklapara, Nongwah-Matamur, Khanapara-Pilangkata, Deshdemoreah, Khanduli-Psiar, Ratacherra and Blocks I and II. The total area of difference is 2,765.14 square km, of which Blocks I & II cover 1,583.42 square km.